Oh look, there’s the Shard! 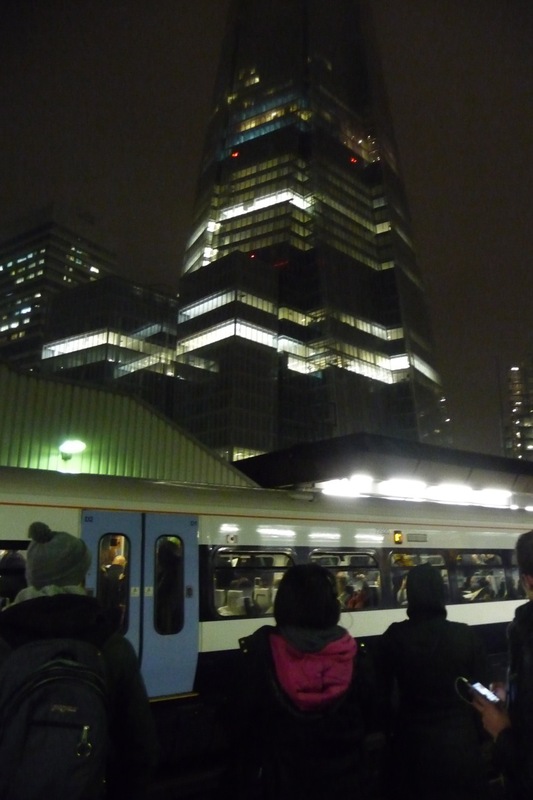 Standing on platform 4 at London Bridge last night, I looked up and saw the shard, it’s point disappearing into the fog. Worth a picture but not my old camera.. lah di dah, here are my quick snaps anyway.